HALIFAX -- A four-year-old Nova Scotia girl was hospitalized after eating 15 pieces of an edible marijuana product she thought was a chocolate bar. The Halifax district RCMP issued a statement Monday saying the recommended daily consumption limit for that particular product is one piece -- for an adult. 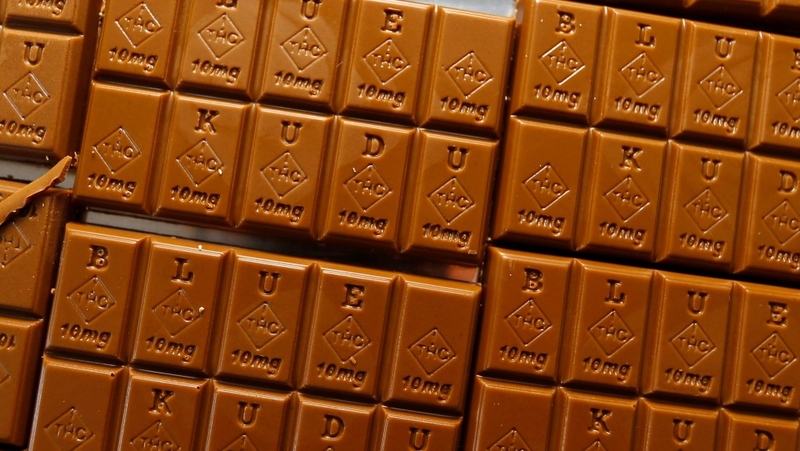 "It looked just like a normal chocolate bar," police said in a release. The girl's father realized the cannabis bar was missing from the console of his vehicle on Saturday, and then noticed the four-year-old was looking very pale, the Mounties said. 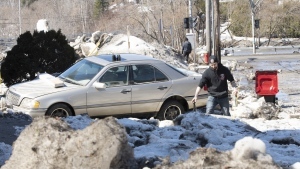 He called 911, and police were dispatched to the family's home in East Petpeswick, a rural community east of Halifax. The girl was taken to hospital for treatment and since released. The RCMP said they were investigating, "including determining whether charges will be laid in this case." A police spokesman confirmed that no charges had been laid by late Monday. In their statement, the Mounties said the possession of edible marijuana products will remain illegal even after the sale of recreational cannabis becomes legal on Oct. 17. However, the federal government has confirmed that it expects to have rules in place for edible cannabis no later than July 2019. Sylvain Charlebois, a professor in food distribution and policy at Dalhousie University in Halifax, said the availability of legal edible cannabis products will create a market that is discreet, convenient -- and potentially dangerous. "Health Canada was caught by surprise by the additional legalization of edibles, and is still trying to come up with an appropriate regulatory framework," Charlebois wrote in an article distributed last month by the online site The Conversation. "Many questions linger about the distinct dangers that edibles pose, particularly for children." Charlebois said it's critical that a regulatory framework include proper labelling of edibles, complete with intoxicant warnings. "With adequate safety measures, edibles present a hugely profitable opportunity for the Canadian food industry," he wrote. "No one really knows for certain what the market potential is for cannabis, much less for edibles, but growth opportunities are palatable." In California, consumers purchased US$180-million worth of cannabis-infused food and drink last year, and sales were up 18 per cent since January of this year, Charlebois said. In Colorado, where cannabis is also legal, sales of edibles rose by about 60 per cent a year over the past two years. Canadian companies are getting ready to supply the new market with, among other things, beer brewed with marijuana, baking mixes infused with cannabis oil and old-fashioned pot cookies. The food industry is counting on edibles becoming the preferred form of cannabis consumption, mainly because they're portable, discreet and don't carry the same stigma as lighting up a joint.